On sale here is the combination of the awesome Mark Levinson No. 38S Pre-amplifier (which is an upgraded design and much more expensive that it's previous 38 model) and the Dual Mono No. 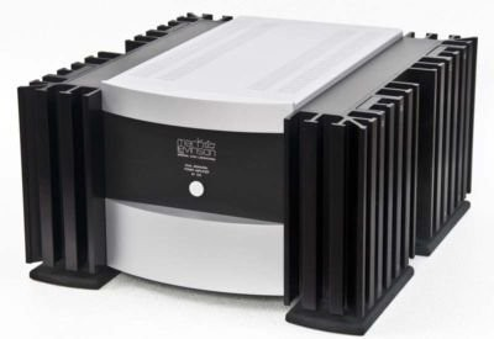 332 Power amplifier with 200 watts/channel, doubling it's output at 4 Ohms & 800 watts/channel down to 2 Ohms. This is serious power to drive the most difficult of loudspeaker loads. As a combination, the sonics are a sheer delight to listen to: great sound staging with images way beyond the confines of the loudspeakers; cavernous depth with tactile placements of singers and instruments; the music reproduced by this high-end set up is extremely refined, gentle, and with great image palpability. These are the hallmarks, among others, of high-end hifidelity! Gain: –73.1dB to +18.9dB plus "off." Inputs: two stereo balanced (XLR), four single-ended (RCA), one MarkLevinson Link communications connector, one 1/8" minijack for external IR repeater. Outputs: one balanced stereo main output pair (XLR), one single-ended stereo main output pair (RCA), two stereo record outputs (RCA), one MarkLevinson Link communication connector. Input impedance: 100k ohms. Both items are in excellent condition, well kept and carefully used by the owner in a smoke-free air-conditioned environment.